"Tower Hamlets" redirects here. For other uses, see Tower Hamlets (disambiguation). 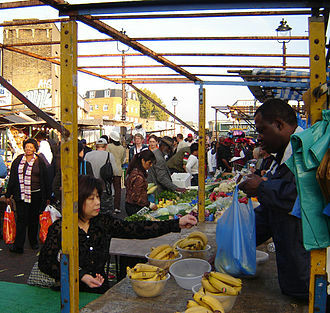 Tower Hamlets is located in East London and covers much of the traditional East End. The Borough was formed in 1965 from the merger of the former Metropolitan Boroughs of Stepney, Poplar and Bethnal Green. The new authority's unusual name comes from an alternative title for the Tower Division; the area of south-east Middlesex, focused on (but not limited to) the area of the modern borough, which owed military service to the Tower of London. The borough lies adjacent to the east side of the City of London and on the north bank of the River Thames. It includes much of the redeveloped Docklands region of London, including West India Docks and Canary Wharf. Many of the tallest buildings in London occupy the centre of the Isle of Dogs in the south of the borough. A part of the Queen Elizabeth Olympic Park is in Tower Hamlets. The borough has a population of 272,890, which includes one of the highest Muslim populations in the country and has an established British Bangladeshi business and residential community. Tower Hamlets has the highest proportion of Muslims in England outnumbering Christians, and has more than forty mosques and Islamic centres, including the East London Mosque, Britain's biggest mosque. Brick Lane's restaurants, neighbouring street market and shops provide the largest range of Bengali cuisine, woodwork, carpets and clothes in Europe. A 2017 study by Trust for London and the New Policy Institute found that Tower Hamlets has the highest rate of poverty, child poverty, unemployment, and pay inequality of any London borough. It also found that it has the lowest GCSE attainment gap though, meaning that the gap in performance between disadvantaged and non-disadvantaged pupils is lower than in any other London Borough. The local authority is Tower Hamlets London Borough Council. As of January 2019, the councillors are: 42 Labour, 2 Conservative and 1 Liberal Democrat. Tower Hamlets is located east of the City of London and north of the River Thames in East London. The London Borough of Hackney lies to the north of the borough while the River Lea forms the boundary with the London Borough of Newham in the east. On the other side of the Thames is The London Borough of Southwark to the southwest, The London Borough of Lewisham to the South, and The Royal Borough of Greenwich to the southeast. The River Lea also forms the boundary between those parts of London historically in Middlesex, with those formerly in Essex. The Isle of Dogs is formed from the lock entrances to the former West India Docks and the largest current meander of the River Thames and the southern part of the borough forms a part of the historic flood plain of the River Thames; and but for the Thames Barrier and other flood prevention works would be vulnerable to flooding. The Regent's Canal enters the borough from Hackney to meet the River Thames at Limehouse Basin. A stretch of the Hertford Union Canal leads from the Regent's canal, at a basin in the north of Mile End to join the River Lea at Old Ford. A further canal, Limehouse Cut, London's oldest, leads from locks at Bromley-by-Bow to Limehouse Basin. Most of the canal tow-paths are open to both pedestrians and cyclists. Victoria Park was formed by Act of Parliament, and administered by the LCC and its successor authority the GLC. Since the latter authority's abolition, the park has been administered by Tower Hamlets. Part of the borough is within the boundary of the Thames Gateway development area. in the Borough of Tower Hamlets. See also: East End of London, of which Tower Hamlets is a main part. For more detailed local histories for each of the districts within Tower Hamlets, see the links to the individual districts, listed above this section. 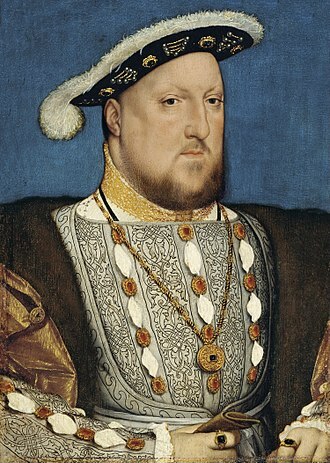 The earliest apparent use of the name "Tower Hamlets" was in the sixteenth century, when the Constable of the Tower of London commanded the Tower Hamlet Militia as the Lord Lieutenant of Tower Hamlets. 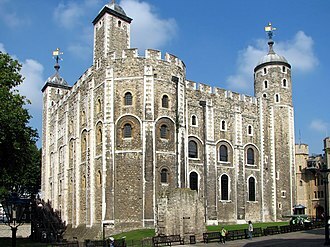 The Hamlets of the Tower paid taxes for the militia in 1646. The London Borough of Tower Hamlets forms the core of the East End. It lies east of the ancient walled City of London and north of the River Thames. Use of the term "East End" in a pejorative sense began in the late 19th century, as the expansion of the population of London led to extreme overcrowding throughout the area and a concentration of poor people and immigrants in the districts that made it up. These problems were exacerbated with the construction of St Katharine Docks (1827) and the central London railway termini (1840–1875) that caused the clearance of former slums and rookeries, with many of the displaced people moving into the area. Over the course of a century, the East End became synonymous with poverty, overcrowding, disease and criminality. The East End developed rapidly during the 19th century. Originally it was an area characterised by villages clustered around the City walls or along the main roads, surrounded by farmland, with marshes and small communities by the River, serving the needs of shipping and the Royal Navy. Until the arrival of formal docks, shipping was required to land goods in the Pool of London, but industries related to construction, repair, and victualling of ships flourished in the area from Tudor times. The area attracted large numbers of rural people looking for employment. Successive waves of foreign immigration began with Huguenot refugees creating a new extramural suburb in Spitalfields in the 17th century. They were followed by Irish weavers, Ashkenazi Jews and, in the 20th century, Bangladeshis. Many of these immigrants worked in the clothing industry. The abundance of semi- and unskilled labour led to low wages and poor conditions throughout the East End. This brought the attentions of social reformers during the mid-18th century and led to the formation of unions and workers associations at the end of the century. The radicalism of the East End contributed to the formation of the Labour Party and demands for the enfranchisement of women. Official attempts to address the overcrowded housing began at the beginning of the 20th century under the London County Council. World War II devastated much of the East End, with its docks, railways and industry forming a continual target, leading to dispersal of the population to new suburbs, and new housing being built in the 1950s. During the war, in the Boroughs making up Tower Hamlets a total of 2,221 civilians were killed and 7,472 were injured, with 46,482 houses destroyed and 47,574 damaged. The closure of the last of the East End docks in the Port of London in 1980 created further challenges and led to attempts at regeneration and the formation of the London Docklands Development Corporation. The Canary Wharf development, improved infrastructure, and the Queen Elizabeth Olympic Park mean that the East End is undergoing further change, but some of its districts continue to contain some of the worst poverty in Britain. The borough is a part of the London constituency for election to the European Parliament. Labour has dominated national elections in Tower Hamlets, although other left-wing parties have won seats including the Respect Unity coalition in 2005 in Bethnal Green & Bow. The borough lies within the City and East constituency, one of fourteen constituencies which make up the London Assembly, and is represented by John Biggs of the Labour Party. 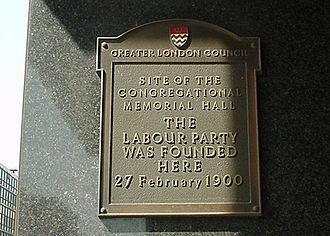 The Labour Party has dominated politics in Tower Hamlets since the borough was first created in 1965 except for a brief period after 1990 when the Liberal Democrats controlled the council. The far-right British National Party won its first council seat in 1993, when Derek Beackon was elected as a Millwall councillor. In May 2010, a referendum led to the creation of a directly elected executive Mayor for the Borough. At the ensuing election in October 2010, Lutfur Rahman was elected Mayor as an independent candidate, becoming the UK's first Muslim executive mayor. Rahman had been selected as the Labour candidate for Mayor, and was a former Leader of the Council. However allegations of electoral malpractice were made against him and his supporters, and he was suspended from the Labour Party before nominations closed. He was re-elected as Mayor in May 2014. At the May 2010 election, the composition of the Council was 41 Labour, 8 Conservative, 1 Respect and 1 Liberal Democrat councillor. Since then, Respect gained a seat from Labour at a by-election, and in three separate groups a total of 8 Labour Councillors and one Conservative defected to Lutfur Rahman's independent group. This shifting of political allegiances is normal for Tower Hamlets. Between the 2006 and 2010 elections, five Respect councillors defected to Labour; one Respect and one Labour councillor defected to the Conservatives; one Liberal Democrat defected to Labour; and one Labour councillor was gained through a by-election at the expense of the Liberal Democrats. In July 2013, the Tower Hamlets (Electoral Changes) Order 2013 was passed, reducing the size of the Council and creating new electoral wards made of single, two- and 3-member divisions. In September 2013, Lutfur Rahman's independent group was officially renamed Tower Hamlets First. At the May 2014 election, the group made significant gains by winning 18 of the 45 seats, which reduced the previously Labour-held council to No Overall Control. Labour remains the largest group with 22 councillors (notionally down 14), while the Conservatives have 5 seats (down 6). Both the Liberal Democrats and Respect Party were wiped out at this election. In November 2014, the Department for Communities and Local Government announced that they would appoint commissioners to take over some of the council's functions, following an inspection report by Pricewaterhouse Cooper that raised several concerns over the allocation of grants. The action was supported by the Department's shadow secretary, Hillary Benn. On 23 April 2015, the courts removed Mayor Rahman from office for electoral fraud and ordered a new election to be held. Six days later, the Electoral Commission officially withdrew Rahman's Tower Hamlets First from the electoral register, after deciding that the party did not operate a responsible financial scheme, nor ran in accordance with its initial documentation provided at registration. The decision renders the former group members as Independent councillors. 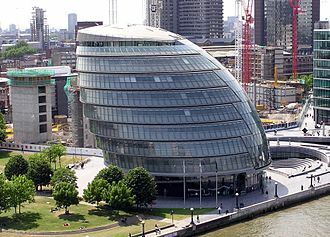 On 11 June 2015, Labour candidate John Biggs was elected mayor, while a Labour win at a by-election enabled the party to regain overall control of the Council. Since 2014, the council has embraced a policy of decentralisation by establishing neighbourhood forums in different areas. In 2014, the East Shoreditch Neighbourhood Planning Forum was set up which was followed in 2016 with the designation of Limehouse Community Forum, Isle of Dogs Neighbourhood Planning Forum and Spitalfields Neighbourhood Planning Forum. The Canary Wharf complex within Docklands on the Isle of Dogs forms a group of some of the tallest buildings in Europe. One Canada Square was the first to be constructed and is the second tallest in London. Nearby are the HSBC Tower, Citigroup Centres and One Churchill Place, headquarters of Barclays Bank. Within the same complex are the Heron Quays offices. By 1891, Tower Hamlets – roughly the civil parish of Stepney – was already one of the most populated areas in London. Throughout the nineteenth century, the local population increased by an average of 20% every ten years. The building of the docks intensified land use and caused the last marshy areas in the south of the parish to be drained for housing and industry. In the north of the borough, employment was principally in weaving, small household industries like boot and furniture making and new industrial enterprises like Bryant and May. The availability of cheap labour drew in many employers. To the south of the parish, employment was in the docks and related industries – such as chandlery and rope making. By the middle of the century, the district of Tower Hamlets was characterised by overcrowding and poverty. The construction of the railways caused many more displaced people to settle in Tower Hamlets, and a massive influx of Eastern European Jews at the end of the nineteenth century added to the population growth. 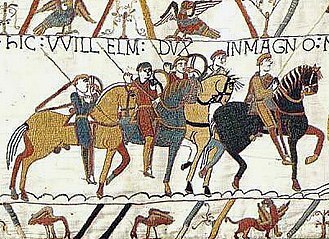 This influx peaked at the end of the century and population growth entered a long decline through to the 1960s, as they moved away eastwards to newer suburbs of London in Essex. The metropolitan boroughs suffered very badly during World War II, during which considerable numbers of houses were destroyed or damaged beyond use due to heavy aerial bombing. This coincided with a decline in work in the docks, and the closure of many traditional industries. The Abercrombie Plan for London (1944) began an exodus from London towards the new towns. This decline began to reverse with the establishment of the London Docklands Development Corporation bringing new industries and housing to the brownfield sites along the river. Also contributing was new immigration from Asia beginning in the 1970s. According to the 2001 UK Census the population of the borough is approximately 196,106. According to the ONS estimate, the population is 237,900, as of 2010. Crime in the borough increased by 3.5% from 2009-2010, according to figures from the Metropolitan Police, having decreased by 24% between 2003/04 and 2007/08. Tower Hamlets has one of the smallest White British populations of any local authority in the United Kingdom. No ethnic group forms a majority of the population; a plurality of residents are white (45%), of which only 31% are indigenous White British. Asians form 41% of the population, of which 32% are Bangladeshi; which is the largest ethnic minority group in the borough. A small proportion are of Black African and Caribbean descent (7%), with Somalis representing the second-largest minority ethnic group. Those of mixed ethnic backgrounds form 4%, while other ethnic groups form 2%. The indigenous proportion was recorded as 31.2% in the 2011 UK Census, a decrease from 42.9% in 2001. In 2018, Tower Hamlets had the lowest life expectancy and the highest rate of heart disease of all London boroughs, along with Newham. As Tower Hamlets is considered one of the world's most racially diverse zones, it holds various places of worship. According to the 2011 census, 34.5% of the population was Muslim, 27.1% Christian, 1.7% Hindu, 1.1% Buddhist, 1.1% followed another religions (including Judaism, Sikhism and Jedi), 19.1% were not affiliated to a religion and 15.4% did not state their religious views. There are more than 40 mosques and Islamic centres in Tower Hamlets. The most famous is the East London Mosque, one of the first mosques in Britain allowed to broadcast the adhan and one of the biggest Islamic centres in Europe. The Maryam Centre, a part of the mosque, is the biggest Islamic centre for women in Europe. Opened in 2013, it features a main prayer hall, ameliorated funeral services, education facilities, a fitness centre and support services. The East London Mosque has been visited by several notable people, including Prince Charles, Boris Johnson, many foreign government officials and world-renowned imams and Muslim scholars. Other notable mosques are Brick Lane Mosque, Darul Ummah Masjid, Esha Atul Islam Mosque, Markazi Masjid, Stepney Shahjalal Mosque and Poplar Central Mosque. There are 21 active churches, affiliated with the Church of England, which include Christ Church of Spitalfields, St Paul's Church of Shadwell and St Dunstan's of Stepney and also churches of many other Christian denominations. Other notable religious buildings include the Fieldgate Street Great Synagogue, the Congregation of Jacob Synagogue, the London Buddhist Centre, the Hindu Pragati Sangha Temple, and the Gurdwara Sikh Sangat. The borough hosts the world headquarters of many global financial businesses, employing some of the highest paid workers in London, but also has a high rates of long term illness and premature death and the 2nd highest unemployment rate in London. Canary Wharf is home to the world or European headquarters of numerous major banks and professional services firms including Barclays, Citigroup, Clifford Chance, Credit Suisse, Infosys, Fitch Ratings, HSBC, J.P. Morgan, KPMG, MetLife, Morgan Stanley, RBC, Skadden, State Street and Thomson Reuters. Savills, a top-end estate agency recommends that 'extreme luxury' and ultra-modern residential properties are to be found at Canary Riverside, West India Quay, Pan Peninsula and Neo Bankside. The End Child Poverty coalition published that Tower Hamlets has the highest proportion of children in poverty of any local authority in the UK at 49% (and as high as 54.5% in the Bethnal Green South ward). The London Borough of Tower Hamlets is the local education authority for state schools within the borough. In January 2008, there were 19,890 primary-school pupils and 15,262 secondary-school pupils attending state schools there. Independent-school pupils account for 2.4 per cent of schoolchildren in the borough. In 2010, 51.8 per cent of pupils achieved 5 A*–C GCSEs including Mathematics and English — the highest results in the borough's history — compared to the national average of 53.4 per cent. Seventy-four per cent achieved 5 A*–C GCSEs for all subjects (the same as the English average); the figure in 1997 was 26 per cent. The percentage of pupils on free school meals in the borough is the highest in England and Wales. In 2007 the council rejected proposals to build a Goldman Sachs-sponsored academy. Schools in the borough have high levels of racial segregation. The Times reported in 2006 that 47 per cent of secondary schools were exclusively non-white, and that 33 per cent had a white majority. About 60 per cent of pupils entering primary and secondary school are Bangladeshi. 78% of primary-school pupils speak English as a second language. The council runs several Idea Stores in the borough, which combine traditional library and computer services with other resources, and are designed to attract more diverse members. The flagship Whitechapel store was designed by David Adjaye and cost £16 million to build. Tower Hamlets College, which in 2017 merged with Hackney Community College and Redbridge College to form New City College, the second largest college in London with over 20,000 students. Volunteer Centre Tower Hamlets helps residents find volunteering work and provides support to organisations involving students volunteers. Mile End Stadium within Mile End Park hosts an athletics stadium and facilities for football and basketball. Two football clubs, Tower Hamlets F.C. (formerly Bethnal Green United) and Sporting Bengal United F.C., are based there, playing in the Essex Senior Football League. John Orwell Sports Centre in Wapping is the base of Wapping Hockey Club. In 2014, the club secured over £300,000 of investment to designate the centre a hockey priority facility. A leisure centre including a swimming pool at Mile End Stadium was completed in 2006. Other pools are located at St Georges, Limehouse and York Hall, in Bethnal Green. 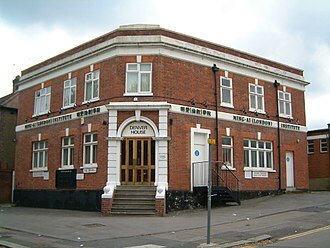 York Hall is also a regular venue for boxing tournaments, and in May 2007 a public spa was opened in the building's renovated Turkish baths. KO Muay Thai Gym and Apolaki Krav Maga & Dirty Boxing Academy. in Bethnal Green are the main sources for martial arts and combat sports training in the area. The unusual Green Bridge, opened in 2000, links sections of Mile End Park that would otherwise be divided by Mile End Road. The bridge contains gardens, water features and trees around the path. A small part of the Olympic Park is in Bow, a district of the borough, which makes the borough a host borough. The energy centre (King's Yard Energy Centre) of the Olympic Park is in the London Borough of Tower Hamlets, and gives energy to all the venues, none of which are located in Tower Hamlets. The world square and the London 2012 mega-store is also in the borough. The world square is for spectators, who can buy food or drink; the world's biggest McDonald's is in the world square in Tower Hamlets. The London 2012 mega-store provides official gifts and souvenirs. High Street, which is the main road to the Olympic park from west and central London, combines Whitechapel Road, Mile End Road and Bow Road. Victoria Park, in Tower Hamlets, is an important part of the Olympics because spectators without tickets can watch the games on big screens (London live 2012); that park is less than a mile away from the Olympic park. The main spectator cycle park is located in Victoria park. One of the entrances to the Olympic park is in Tower Hamlets, and is called the Victoria gate. A few schools in Tower Hamlets have taken part in the opening and closing ceremonies of the Olympic and Paralympic games as well as all the other host boroughs. The section of the Olympic Park in Tower Hamlets will be named "Sweetwater", one of the 5 new neighbourhoods after the games. Sweetwater will cover Tower Hamlets' part of the Olympic Park near Old Ford. The Olympic marathon was planned to run through the borough but later ran through the City and Westminster. However, the U-turn was located in the borough near The Tower of London. Danny Boyle, the artistic director of the London 2012 opening ceremony, lives in Mile End. A large number of Tower Hamlets' residents became Olympic volunteers; Tower Hamlets ranks second, after neighbouring borough Newham, for the number of volunteers from the borough. There are over one hundred parks and open spaces in Tower Hamlets ranging from the large Victoria Park, to numerous small gardens and squares. The second largest, Mile End Park, separated from Victoria Park by a canal, includes The Green Bridge that carries the park across the busy Mile End Road. One of the smallest at 1.19 ha is the decorative Grove Hall Park off Fairfield Road, Bow, which was once the site of a lunatic asylum. Other parks include Altab Ali Park, Mudchute Park and Grove Hall Park. Transport radiates across the borough from the City of London, with the A13 starting at Aldgate and heading east passing the entrance to the Blackwall Tunnel towards Newham, and south-east Essex. The A12 also starts at Aldgate, crosses the Lea at Bow, towards Colchester and Great Yarmouth. Roads are busy at all times, particular during the rush hours; and much of the borough is a controlled parking zone, to prevent commuter parking. Two tunnels allow cars to travel in both directions under the Thames, the Rotherhithe Tunnel from Limehouse to Rotherhithe in the London Borough of Southwark, and the Blackwall tunnel, from Blackwall to the Royal Borough of Greenwich . The principal rail services commence in the City at Fenchurch Street, with one stop at Limehouse; and Liverpool Street, with stops at Bethnal Green and Cambridge Heath. The East London Line passes from north to south through Tower Hamlets with stations at Whitechapel, Shadwell and Wapping. One entrance to Shoreditch High Street station is inside the Borough. And the North London Line passes the very north in Tower Hamlets with one entrance to Hackney Wick inside the Borough. Two Crossrail stations are currently under construction and are expected to start services in late 2018. The Docklands Light Railway was built to serve the docklands areas of the borough, with a principal terminus at Bank and Tower Gateway. An interchange at Poplar allows trains to proceed north to Stratford, south via Canary Wharf towards Lewisham, and east either via the London City Airport to Woolwich Arsenal or via ExCeL London to Beckton. Three London Underground services cross the district: the District and Hammersmith and City lines share track between Aldgate East and Barking. The Central line has stations at Bethnal Green and Mile End - where there is an interchange to the District line. The Jubilee line has one stop at Canary Wharf. In March 2011, the main forms of transport that residents used to travel to work were: underground, light rail, 24.0% of all residents aged 16–74; on foot, 7.5%; bus, minibus or coach, 7.5%; driving a car or van, 6.9%; bicycle, 4.1%; train, 3.8%; work mainly at or from home, 2.3%. Tower Hamlets Borough Council operates a walking bus service for school students on agreed routes with some running every school day while and others once or twice a week depending on the number of adult volunteers involved. ^ a b "Bangla Stories". banglastories.org. ^ a b Eade, John (1996). "Nationalism, Community, and the Islamisation of Space in London". In Metcalf, Barbara Daly (ed.). Making Muslim Space in North America and Europe. Berkeley: University of California Press. ISBN 0520204042. Retrieved 19 April 2015. 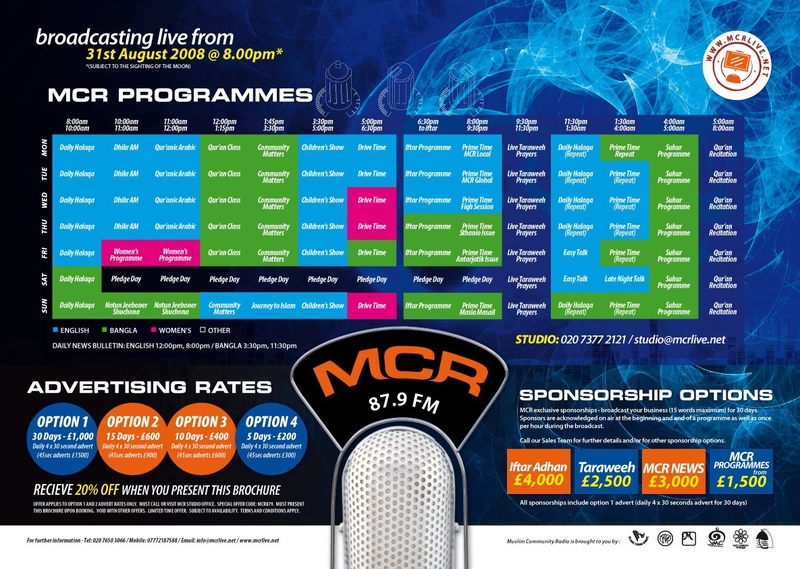 As one of the few mosques in Britain permitted to broadcast calls to prayer (azan), the mosque soon found itself at the centre of a public debate about “noise pollution” when local non-Muslim residents began to protest. ^ Garbin, David. "Bangladeshi diaspora in the UK: some observations on socio-cultural dynamics, religious trends and transnational politics", Conference Human Rights and Bangladesh, School of African and Oriental Studies, June 2005, p. 1. Retrieved 16 August 2011. ^ "London's Poverty Profile". Trust for London. Retrieved 19 June 2018. ^ "Your Councillors". Democracy.towerhamlets.gov.uk. 8 February 2019. Retrieved 8 February 2019. ^ "BBC on Thames floodplain", BBC News. Retrieved 31 March 2007. ^ By the early 19th century, over 11,000 people were crammed into insanitary slums in an area, which took its name from the former Hospital of St Catherine that had stood on the site since the 12th century. ^ "1993: Shock as racist wins council seat", BBC News. Retrieved 13 July 2011. ^ Hill, Dave. "Britain's first Muslim executive mayor vows to 'reach out to every community'", The Guardian, 8 November 2010. Retrieved 8 August 2013. ^ Hill, Dave. "Tower Hamlets: Lutfur Rahman removed as Labour mayoral candidate", The Guardian, 21 September 2010. Retrieved 8 August 2013. ^ "Lutfur Rahman mobbed by supporters on re-election". BBC. 24 May 2014. Retrieved 25 May 2014. ^ "The Tower Hamlets (Electoral Changes) Order 2013". Legislation.gov.uk. ^ "Tower Hamlets Council - Election results by party, 22 May 2014". towerhamlets.gov.uk. Archived from the original on 2 April 2015. ^ "Best Value Inspection of London Borough of Tower Hamlets Report" (PDF). Gov.uk. 16 October 2014. Retrieved 8 February 2019. ^ Mason, Tania (4 November 2014). "Tower Hamlets grants-for-votes inquiry finds grant guidelines were flouted". Civil Society. London. Retrieved 4 November 2014. ^ Wright, Oliver (4 November 2014). "Eric Pickles sends hit squad to tackle 'rotten borough' of Tower Hamlets". The Independent. London. Retrieved 4 November 2014. ^ "Electoral Commission - Media statement on removal of Tower Hamlets First from the Electoral Commission's register of political parties". Electoralcommission.org.uk. ^ "Tower Hamlets election: Labour's John Biggs named mayor". BBC. 12 June 2015. Retrieved 12 June 2015. ^ "Greenwich 1981–2010 averages". Met Office. Retrieved 20 November 2018. 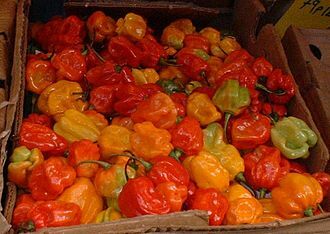 ^ "Hot Spell - August 2003". Met Office. Retrieved 17 December 2018. ^ "Record Breaking Heat and Sunshine - July 2006". Met Office. Retrieved 17 December 2018. ^ "London Forecast". Met Office. Retrieved 17 December 2018. ^ "Tower Hamlets: Total Population". A Vision of Britain Through Time. Great Britain Historical GIS Project. Retrieved 6 September 2011. 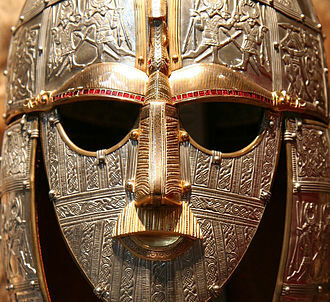 ^ A Vision of Britain through time. Retrieved 20 February 2009. ^ Resident Population Estimates, All Persons - Tower Hamlets ONS. ^ Kleebauer, Alistair. "Crime went up by 3.5% in Tower Hamlets last year, according to Met figures". East London Advertiser. 23 January 2011. Retrieved 21 July 2011. Archived 21 July 2011. ^ "Tower Hamlets Crime and Drugs Reduction Strategy – Year 1 2008/09" Archived 20 March 2012 at the Wayback Machine. Tower Hamlets Partnership. Retrieved 21 July 2011. ^ a b c Ethnicity in Tower Hamlets TowerHamlets.gov.uk. ^ a b "Audit Commission" (PDF). audit-commission.gov.uk. ^ Neighbourhood Statistics. "Tower Hamlets - Ethnic groups - 2001 Census - ONS". Neighbourhood.statistics.gov.uk. Retrieved 22 October 2010. ^ "Diabetes and heart disease in Bangladeshis and Pakistanis | East London Genes & Health". Genesandhealth.org (in Bengali). Retrieved 14 July 2018. ^ "KS006 - Ethnic group". Nomisweb.co.uk. Retrieved 30 January 2016. ^ "Ethnic Group by measures". Nomisweb.co.uk. Retrieved 8 January 2016. ^ Eade, John (1996). "Nationalism, Community, and the Islamization of Space in London". In Metcalf, Barbara Daly (ed.). Making Muslim Space in North America and Europe. Berkeley: University of California Press. ISBN 0520204042. Retrieved 19 April 2015. The mosque committee was determined from the outset, moreover, to remind local people of the building’s religious function as loudly as possible. As one of the few mosques in Europe permitted to broadcast calls to prayer (azan), the mosque soon found itself at the center of a public debate about “noise pollution” when local non-Muslim residents began to protest. ^ UK Census (2011). "Local Area Report – Tower Hamlets Local Authority (1946157257)". Nomis. Office for National Statistics. Retrieved 9 February 2018. ^ "Islamic Forum of Europe". islamicforumeurope.com. Archived from the original on 15 August 2008. Retrieved 15 August 2008. ^ Mosques in Tower Hamlets, Muslimsinbritain.org. Retrieved 27 June 2011. ^ Church List: Tower Hamlets The Diocese of London. Retrieved on 27 March 2009. ^ "Poverty Indicator - Tower Hamlets". Londons Poverty Profile. ^ "Poverty in your area". End Child Poverty. October 2014. Archived from the original on 31 October 2014. Retrieved 4 November 2014. ^ See list of education authority schools Archived 27 January 2012 at the Wayback Machine. ^ "Pupil projections" Archived 29 September 2011 at the Wayback Machine, Tower Hamlets Council. Retrieved 27 June 2011. See also: "DfE: Schools, Pupils and their Characteristics, January 2011", Department for Education, data released on 22 June 2011. Retrieved 11 July 2011. ^ "Private schools: capital spending", The Economist, 22 June 2011. Retrieved 11 July 2011. Archived 11 July 2011. "Guide: Secondary league tables", BBC News, 12 January 2011. Retrieved 11 July 2011. "Tower Hamlets: GCSE and A-level results for 2009-2010", The Guardian, 12 January 2011. Retrieved 11 July 2011. For highest results, see: "Tower Hamlets scores record GCSE results", Tower Hamlets London Borough Council, 25 August 2010. Retrieved 11 July 2010. Archived 11 July 2011. ^ GCSE information (XLS) (364 KB). Department for Education. Table 16. 21 October 2010. Retrieved 21 July 2011. See publication page. ^ Cavendish, Camilla. "You don't need the middle class". The Times. 4 March 2003. Retrieved 21 July 2011. ^ "Attainment at age 11 by borough", londonspovertyprofile.org.uk, 13 July 2010. Retrieved 11 July 2011. ^ Garner, Richard. "Tower Hamlets rejects Goldman Sachs' offer to sponsor academy", The Independent, 21 June 2007. Retrieved 11 July 2011. ^ Frean, Alexandra. "Race quotas 'needed to end divide in schools'". The Times. 12 October 2006. Retrieved 21 July 2011. See also: "Schools in the East End dividing by race". Evening Standard. 29 May 2007. Retrieved 21 July 2011. ^ Johnston, Ron; Burgess, Simon; Harris, Richard; Wilson, Deborah. "'Sleep-Walking Towards Segregation?' The Changing Ethnic Composition of English Schools, 1997-2003: An Entry Cohort Analysis". Centre for Market and Public Organisation. University of Bristol. September 2006. p. 6. ^ "More pupils can claim free meals", BBC News, 11 August 2009. Retrieved 11 July 2011. ^ Jeffrey Schnapp; Matthew Battles (2014). Library Beyond the Book. Harvard University Press. ISBN 978-0-674-72503-4. ^ Sudjic, Deyan. "Just give him some space". The Guardian. 6 November 2005. Retrieved 21 July 2011. ^ "Administration and Maintenance". Idea Store. Retrieved 21 July 2011. Archived 21 July 2011. ^ "New City College". Retrieved 30 August 2017. ^ "Volunteer Centre Tower Hamlets". Vcth.org.uk. Retrieved 22 October 2010. ^ Gilmour, Rod (3 March 2014) "Wapping's Hockey Revolution Bears Fruits as London Club Goes Business Savvy". The Daily Telegraph. Retrieved on 24 August 2014. ^ "Spa London, Bethnal Green - 3 bubbles", The Good Spa Guide. Retrieved 27 June 2011. ^ "KO Gym - Combat Academy - Muay Thai - Kick Boxing - London". Komuaythai.com. 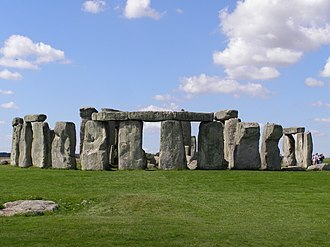 ^ "History and Background" Archived 23 March 2012 at the Wayback Machine. Tower Hamlets London Borough Council. Retrieved 21 July 2011. See PDF files. ^ "The 2012 Olympics: The greatest sideshow on Earth", The Economist, 22 July 2010. Retrieved 13 July 2011. ^ Tower Hamlets Council. AZ of Parks. Retrieved 4 July 2014. 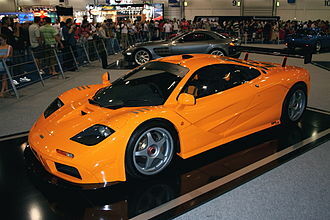 ^ "2011 Census: QS701EW Method of travel to work, local authorities in England and Wales". Office for National Statistics. Retrieved 23 November 2013. Percentages are of all residents aged 16-74 including those not in employment. Respondents could only pick one mode, specified as the journey’s longest part by distance. ^ "Cycling and walking to school". Towerhamlets.gov.uk. Retrieved 8 February 2019. Cornwell, Jocelyn (1984). Hard-Earned Lives: Accounts of Health and Illness from East London, Tavistock Publications. Dancygier, Rafaela M. (2010). Immigration and Conflict in Europe, Cambridge University Press. Hill, Dave. "Tower Hamlets: politics, poverty and faith", The Guardian, 19 September 2010. Retrieved 11 July 2011. Wikimedia Commons has media related to London Borough of Tower Hamlets. Poplar was a local government district in the metropolitan area of London, England. It was formed as a district of the Metropolis in 1855, the borough bordered the metropolitan boroughs of Hackney and Bethnal Green to the west and north, and the county of Essex to the east. To the south, the River Thames formed borders with the boroughs of Bermondsey, Deptford. It was formed from three parishes, St Mary Stratford-le-Bow, St Leonard Bromley and All Saints Poplar. In 1907 these three were combined into a civil parish called Poplar Borough, which was conterminous with the metropolitan borough. In 1965 the parish and borough were abolished, with their former area becoming part of the newly formed London Borough of Tower Hamlets, several councillors were imprisoned briefly in 1921 in relation to this. In 1951 Poplar was chosen as the site of the Festival of Britains Exhibition of Live Architecture, the East End of London had been heavily bombed during the war and its reconstruction was showcased at the new Lansbury Estate. New building materials and planning concepts were demonstrated, the trail continued with the Lansbury Estate and Chrisp Street Market. The former town hall in Bow Road, designed by Culpin & Son, is now a listed building, Poplar covered an area of 2,328 acres. The seal depicted the emblems of the three parish vestries merged into the board, the top shield was the seal of Poplar Vestry, and showed the Hibbert Gate of the old West India Docks, with a sailing ship on top of the shield. 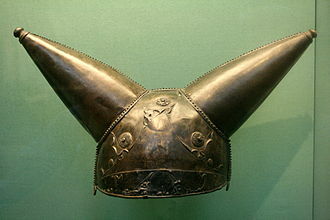 A similar representation of the gate and ship formed the head of the civic mace. The shield on the left was the seal of Bow Vestry and this represented the bow-shaped bridge over the River Lea. The shield on the right was the seal of Bromley St Leonard Vestry, there remain a number of street signs which have been preserved with the name of the former borough. In 1880 the population had increased enough for the parish of All Saints Poplar to be divided into three wards, South and West. In 1885 the population had increased enough for the parish of Bromley St Leonard to be divided into three wards, West and South, in 1894 the population had increased enough for the parish of St Mary Stratford Bow to be divided into four wards, No. For the specific dock known under that name, see London Docks. For the basketball team known as London Docklands, see London Towers. London Docklands is the name for an area in east and southeast London and it forms part of the boroughs of Southwark, Tower Hamlets, Lewisham and Greenwich. The docks were formerly part of the Port of London, at one time the worlds largest port and they have now been redeveloped principally for commercial and residential use. The name London Docklands was used for the first time in a government report on redevelopment plans in 1971 but has become virtually universally adopted. It created conflict between the new and old communities of the London Docklands, in Roman and medieval times, ships tended to dock at small quays in the present-day city of London or Southwark, an area known as the Pool of London. However, this gave no protection against the elements, was vulnerable to thieves, the Howland Great Dock in Rotherhithe was designed to address these problems, providing a large and sheltered anchorage with room for 120 large vessels. It was a commercial success and provided for two phases of expansion during the Georgian and Victorian eras. The first of the Georgian docks was the West India, followed by the London, the East India, the Surrey, the Regents Canal Dock, St Katharine, the Victorian docks were mostly further east, comprising the Royal Victoria and Royal Albert. The King George V Dock was an addition in 1921. Three principal kinds of docks existed, wet docks were where ships were laid up at anchor and loaded or unloaded. Dry docks, which were far smaller, took individual ships for repairing, ships were built at dockyards along the riverside. In addition, the river was lined with warehouses, jetties. The various docks tended to specialise in different forms of produce, the Surrey Docks concentrated on timber, for instance, Millwall took grain, St Katharine took wool and rubber, and so on. The docks required an army of workers, chiefly lightermen and quayside workers, some of the workers were highly skilled - the lightermen had their own livery company or guild, while the deal porters were famous for their acrobatic skills. It contains the athletes Olympic Village and several of the sporting venues including the London Stadium and London Aquatics Centre, besides the London Olympics Media Centre. The park is overlooked by the ArcelorMittal Orbit, an observation tower and it was simply called Olympic Park during the Games but was renamed to commemorate the Diamond Jubilee of Elizabeth II. The park occupies an area straddling four east London boroughs, Tower Hamlets, part of the park reopened in July 2013, with a large majority of the rest reopening in April 2014. The site covers parts of Stratford, Bow and Hackney Wick in east London, the site was previously a mixture of greenfield and brownfield land, including parts of Hackney Marshes. The Royal Mail gave the park and Stratford City the postcode E20, the park was designed by the EDAW Consortium, working with Arup and WS Atkins. Detailed landscape architecture was by LDA Design in conjunction with Hargreaves Associates, LDA design contracted Wallace Whittle to carry out various aspects of the M+E Building services design. The NHBC carried out the Sustainability assessments, the park was illuminated with a lighting scheme designed by Sutton Vane Associates. The fencing arena was cancelled, with the events taking place at ExCeL London. The remaining indoor arenas are the Basketball Arena and the Copper Box, in addition to the Water Polo Arena, the Aquatics Centre, the final design of the park was approved by the Olympic Delivery Authority and its planning-decisions committee. The Legacy List is the independent charity for Queen Elizabeth Olympic Park, Sarah Weir, who is an Executive Director of the Almeida Theatre and was running Arts Council England, found The Legacy List, the Queen Elizabeth Olympic Park charity. In autumn 2013 Sarah moved on to take up the role of Chief Executive at Waddesdon Manor, during its construction over 80,000 workers were engaged on the project. The construction of the Olympic Park was managed by CLM Delivery Partner, comprising CH2M Hill, Laing ORourke, CLM specifically managed the white space between the venue construction zones, including managing the internal road network. No one, except perhaps the admirable Oudolf, wants to do the quiet stuff, great care was taken to make the Athletes Village aesthetically orderly, to the point where it began to resemble Ceausescus Bucharest, this eruption makes such efforts futile. Robert Holden and Tom Turner, in a review of the Olympic Parks landscape architecture state that Our fundamental point is that the planning is much better than the landscape design. The landscape planning includes the opening up of the River Lea in the section of the park, the habitat-creation strategy. The landscape design is dominated by vast pedestrian concourses which will be busy during events, there is some good garden-type planting but it has not been used to make gardens, it is used more like strips of planting beside highways. The park has a number of uses after the 2012 Summer Olympic Games in London finished, such as, a university exploiting the sporting facilities and high-tech communications infrastructure remaining specialising in sport science, digital media and green technology. British Pakistanis are citizens or residents of the United Kingdom whose ancestral roots lie in Pakistan. This includes people born in the UK who are of Pakistani descent, the majority of British Pakistanis originate from the Azad Kashmir and Punjab regions, with a smaller number from other parts of Pakistan including Sindh, Khyber Pakhtunkhwa and Balochistan. The UK is home to the largest Pakistani community in Europe, British Pakistanis are the second largest ethnic minority population in the United Kingdom and make up the second largest subgroup of British Asians. In addition, they are the second largest overseas Pakistani community, due to the historical relations between the two countries, immigration to the UK from the region which is now Pakistan began in small numbers in the mid-nineteenth century. This was made easier as Pakistan was a member of the Commonwealth, Pakistani immigrants helped to resolve labour shortages in the British steel and textile industries. Doctors from Pakistan were recruited by the National Health Service in the 1960s, the British Pakistani population has grown from about 10,000 in 1951 to over 1.1 million in 2011. The vast majority of live in England, with a sizable number in Scotland and smaller numbers in Wales. The most diverse Pakistani population is in London which comprises Punjabis, Mirpuri Kashmiris, Sindhis, Saraikis and others. The majority of British Pakistanis are Muslim, around 90 per cent of those living in England, the majority are Sunni Muslims, with a significant minority of Shia Muslims. The UK has one of the largest overseas Christian Pakistani communities, since their settlement, British Pakistanis have had diverse contributions and influence on British society, culture and sport. A large number of British Pakistanis have traditionally been self-employed, with a significant number working in the industry or in family-run businesses of the retail sector. The earliest period of Asian migration to Britain has not been ascertained, immigration from what is now Pakistan to the United Kingdom began long before the independence of Pakistan in 1947. 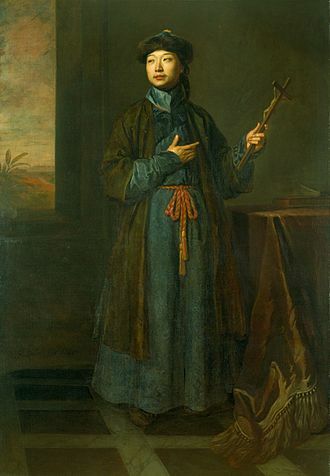 These immigrants were often the first Asians to be seen in British port cities and were perceived as indolent due to their reliance on Christian charities. The term British Indian refers to citizens of the United Kingdom whose ancestral roots lie in India. This includes people born in the UK who are of Indian descent, Indians comprise about 1.4 million people in the UK, making them the single largest visible ethnic minority population in the country. They make up the largest subgroup of British Asians, and are one of the largest Indian communities in the Indian diaspora, mainly due to the Indian-British relations. The British Indian community is the sixth largest in the Indian diaspora, behind the Indian communities in the United States, Saudi Arabia, British Indians are socioeconomically affluent and are primarily members of the middle class. A study by the Joseph Rowntree Foundation in 2011 found British Indians have among the lowest poverty rates among all groups in Britain. Studies have shown that Indians are more likely to be employed in professional and managerial occupations, No one knows the earliest settlement of Indians in Great Britain for certain. If the Romani, often known by the exonym Gypsies, are regarded as South Asian, the Romanichal and Kale originated in what is now North India and Pakistan, and began migrating westward around 1000 C. E. mixing with Southwest Asians and continental Europeans over the centuries. Romani began arriving in numbers in Western Europe during the 16th century. People from India have settled in Great Britain since the East India Company recruited lascars to replace vacancies in their crews on East Indiamen whilst on voyages in India. Initially these were men from the Indo-Portuguese or Luso-Asian communities of the subcontinent, including men from Bombay, Cochin, Muslim Bengalis and men from Ratnagiri were hired. Many were refused passage back and had no alternative than to settle in London, there were some ayahs, domestic servants and nannies of wealthy British families, who accompanied their employers back to Britain when their stay in South Asia came to an end. British soldiers would sometimes marry Indian women and send their mixed race children back to Britain. The Metropolitan Borough of Stepney was a Metropolitan borough in the County of London created in 1900. 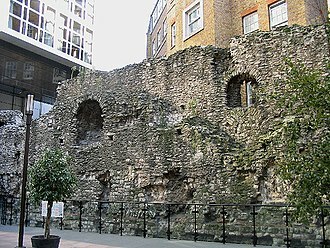 In 1965 it became part of the London Borough of Tower Hamlets, in 1901 Tower of London was merged with St Botolph without Aldgate. In 1927 the remaining four parishes were combined into a single civil parish called Stepney. The area maps roughly to the London postcode E1, the road sign in front of Mile End tube station and a street sign on Leman Street in Aldgate still have the wording Borough of Stepney just visible on them. On the formation of the borough the corporation adopted a seal depicting the patron saints of the parishes that made up the borough. These were St Anne, Limehouse, St Mary Matfelon, Whitechapel, St Dunstan, for Stepney, in the centre was a depiction of the Tower of London. At the top of the seal was a ship, recalling the legend that all persons born on the high seas. In 1931 the seal was replaced by a coat of arms. The main item on the shield is a ship on the waves of the sea, at the top of the shield are shown a version of the arms of the City of London, but with an anchor replacing the sword in the citys arms. Jay Sean has recently broken into the global music market, and is already the most successful European urban artist in US chart history. Bradford, in the north of England, is considered to be a typical "mill and mosque town" due to its large Pakistani community. The Curry Mile on Wilmslow Road in Manchester is home to a myriad of Pakistani bakers, delicatessens and handmade jewellery in addition to several halal restaurants and take-aways. 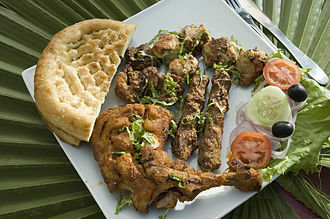 The Balti is an example of British Pakistani cuisine. 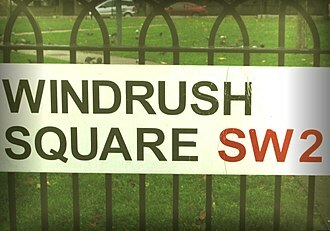 In 1998, an area of public open space in Brixton was renamed Windrush Square to commemorate the 50th anniversary of the arrival of the ship bringing the first large group of West Indian migrants to the United Kingdom. An 1802 painting of the completed docks. The canal to the left of the painting was later closed and became a third dock. The view is looking west towards the City of London. Panorama view of vessels moored in the south dock of the West India Docks during the 2012 Summer Olympics, viewed from the southeastern corner of the Canary Wharf estate. East view from Cabot Square. London City Airport runway with Canary Wharf and the O2 Arena in the background. 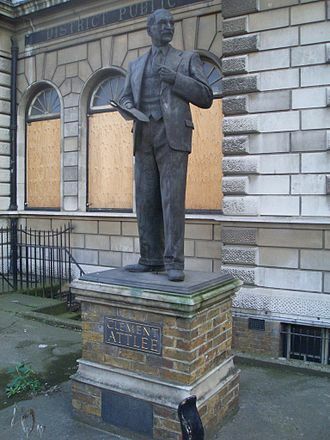 A statue of Clement Attlee, mayor of Stepney (1919) and MP for Limehouse stands outside Limehouse Library. 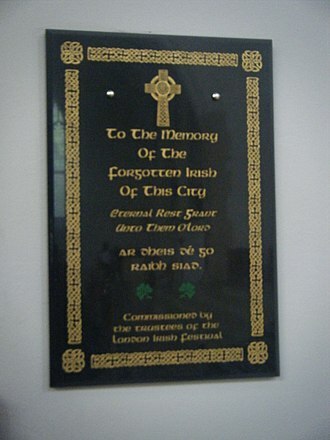 Memorial to the "Forgotten Irish" of London, Church of the Sacred Heart, Kilburn.